Maybe Keamy still works for Widmore. Paik gets his buddy Widmore to get rid of Jin(because he doesn't think he is good enough for Sun) by using Keamy to kidnap him. Just a guess, but looks like the people that worked for Widmore before still do. I loved seeing Keamy this episode- totally unexpected! Also, the bald guy was on the freighter. 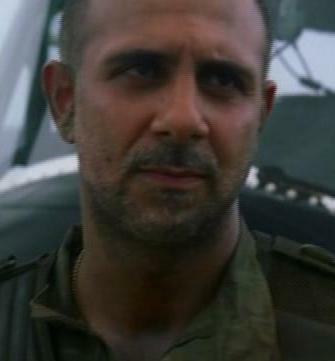 His name is "Omar" according to lostpedia. I knew I had seen him...thanks DMM!! Once we saw Omar get out of the SUV, we recognized him right away, and knew that he was taking Sayid to see Keamy. So we weren't really surprised when we first saw Keamy's face. Actually, Kevin Durand's name in the credits ruined it for me. Wasn't as a big a shock as it could of been if I wasn't waiting for him to show up. Seeing Anthony Azizi was also a giveaway but a lot of people may not have recognized him as being Omar. Regardless, am I the only one who loved seeing Keamy turn into such a trembling idiot when Sayid turned the gun on him? Oh, you're good! I knew we had seen him before but somehow I had it in my head that he was the guy who had tortured Sayid in Paris in retaliation for his wife's torture during the war. But I'm glad I was wrong. I love it when a reveal is really a surprise for me. It definitely looks like Jin was in LA to see Keamy and things went horribly awry. But I think this is a difference in this reality. I'm not convinced Keamy was the person with whom Jin was meeting in the original timeline. And I have a gut instinct that while Keamy is obviously a higher up in this "organization" he isn't the Big Boss. Wasn't locked up with Keamy but by Keamy. Still does not tell us why. Is Mr. Paik doing business with Keamy, was Jin doing something on his own with Keamy? Was the money Jin's or was he surprised by the money?? Remind me again what a watch had to do with Jin? Wasn't he supposed to deliver a watch too or was that just a ruse? Too much to remember. Yes, he was supposed to deliver a very nice watch to someone with whom Mr. Paik does business. It was some sort of message that only big, evil, rich guys understand. It was apparently such an important job that Jin completely freaked out when he saw that Michael had the watch in the original timeline. But there was also an indication that Jin was planning to deliver the watch and then ask Sun to start their lives over again in America. So if the money is his that's what I think that was for. If it's not his... then we have another question. lol. I like the theory that the money was to start a new life in America. remind me... how did Keamy die the first time? Ben killed him downstairs in The Orchid. Jin's mother blackmailed Sun for $100,000. Sun got the money from, her dad in exchange for Jin working for him from then on. I had previously posted that in the Alternate timeline, perhaps Sun got the money from her dad but never gave it to Jin's mom. Maybe they took that money with them on the trip. When I saw Keamy, I was thinking, "now he looks familiar... I know I've seen him before. Is he from one of those Fox shows I've seen an episode of and forgot everyone on? No he's gotta be someone I know. Oh wait, he's... crap what's his name..." Keamy says his name. 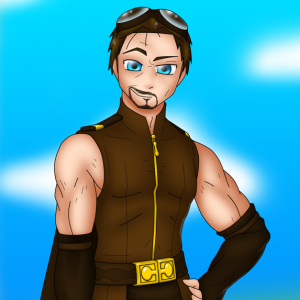 "Keamy! Yeah that's it!" I am in love with the way that actor talks. I think he has really made a fantastic character. Keamy seemed changed from last time too, much less willing to face death. Keamy seemed changed from last time too, much less willing to face death. And did he have a different accent, or did I just forget his voice completely? He sounded more "northern" here. That's what I thought too! Funny funny. And was it not Keamy's goon that killed him in LA X, Sayid used him as a human shield, even though Sayid 'is not that man anymore', shows what a bit of gentle persuasion can bring out in a man.